Teenage drama packaged as a Hunger Games rival that sadly doesn’t deliver. Would you face that fear for someone you loved? Or perhaps for wealth beyond your wildest dreams? A legendary game played by graduating seniors in the no-hope town of Carp, where the stakes are high and the payoff even higher. A game in which competitors will face their greatest fears – and hope to live to defeat them. We all have something to play for. Don’t be fooled by the premise of this book. It’s not really about the game at all. It’s about the characters and their families. It’s about why they’re playing the game. And that would be great if I had managed to properly connect with the characters, but I didn’t quite get them. None of them seemed fully formed, even our two main characters Heather and Dodge. Plus, the overall storyline and narrative was so choppy it felt quite rushed. I felt like there were small chunks missing here and there, that should have been connecting one event to another, so I was really thrown off on some occasions. Despite this, I still managed to guess the twist far too early. The thing about this book is that I was expecting at least a bit of action, suspense, tension and fear (it is called Panic, after all) but I hardly felt that while reading it. Each task in the game could have been far more scary, but instead they seemed skipped over and forgotten about as soon as they ended. I don’t understand why there wasn’t more adult intervention, either. It was far too easy for the teenagers to get away with playing this dangerous and illegal game. I didn’t hate this book. It does have its moments and I liked what Lauren Oliver tried to achieve here, but I’m not sure it worked. I still enjoyed it, but I didn’t love it in the way that I loved her other novels. I’m going to give Panic three stars, because I know that some people will really enjoy it. But don’t expect anything like The Hunger Games or Divergent – it’s more of a contemporary teenage drama with a dash of that dystopian feel thrown in. If you begin reading it with that in mind, you’re likely to enjoy it much more than I did, I think! 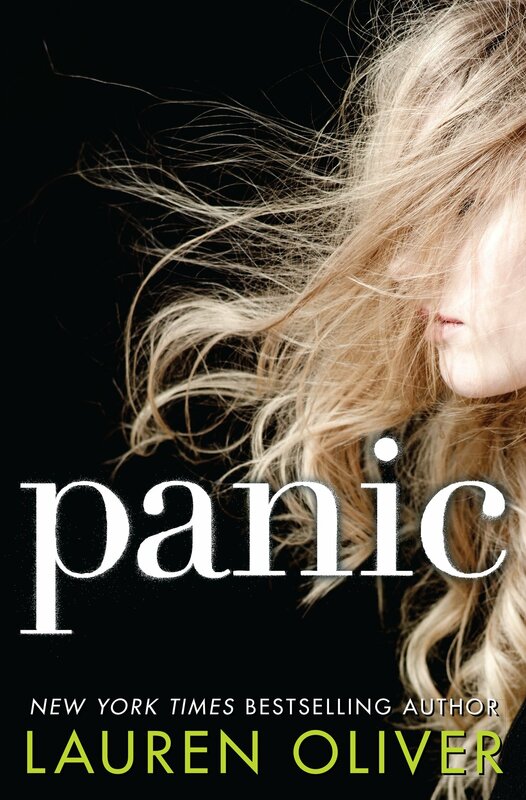 What did you think of Panic by Lauren Oliver? I’d love to know! Next Post My TBR pile is enormous (again) – Help! I read Panic a few months ago and thought very much the same. In fact, I can’t remember much about it now, so it didn’t make a huge impression! (Unlike the first Delirium book, which I’d happily re-read again and again.) I do remember thinking the way the games were resolved was rather quick and convenient.